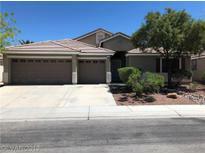 Below you can view all the homes for sale in the Allen Manor subdivision located in North Las Vegas Nevada. Listings in Allen Manor are updated daily from data we receive from the Las Vegas multiple listing service. To learn more about any of these homes or to receive custom notifications when a new property is listed for sale in Allen Manor, give us a call at 702-323-5963. HUGE pool size yard / turf & covered patio, can be made your pool oasis. MLS#2087868. Homestar Realty & Management. 3 car Garage with Plenty of Storage. Close to Shopping and Parkways. MLS#2085951. Landbank Realty. Relaxing & Low Maintenance Large B/Y Is An Entertainers Dream W/Fire Pit, Artificial Turf, Covered Patio & *sparkling Pool*. Clean & Move In Ready! MLS#2085007. Coldwell Banker Premier. Beautiful SOUGHT AFTER ALL SINGLE STORY COMMUNITY*GATED*CLOSE TO SCHOOLS & SHOPPING*3 CAR + GARAGE*3BDRM*LARGE DEN (COULD BE 4TH BEDROOM)*CENTRAL VACUUM*SURROUND SOUND*BLINDS*CEILING FANS THROUGHOUT*TILE*VAULTED CEILINGS*POT SHELVES*STUBBED BBQ STAYS*FIREPLACE*EAT IN KITCHEN*ISLAND*WALK IN PANTRY*BREAKFST BAR*GREAT ROOM*DOUBLE DOOR MASTER*SEPERATE JETTED TUB*GLASS SHOWER*DOUBLE SINKS*WLK IN CLOSET*LAUNDRY WITH EXTRA STORAGE SHELVES & CLOSET*SHOW! MLS#2069962. eXp Realty.